Based in California, E.J. Sarmento founded Wyred 4 Sound in 2007 with a goal of producing stellar audio components at prices within financial reach of many music fans. 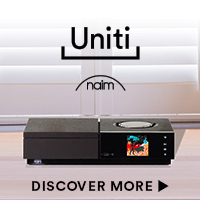 In the decade since the release of their first amplifier, their product line has grown substantially, now including preamplifiers, music streamers, integrated amplifiers, cables, audio accessories, and more. Of course, they have also invested significant engineering time honing their digital components like the DAC-2v2 and the DAC-2v2SE (the subject of this review). 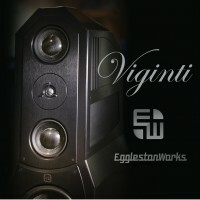 To commemorate their 10th anniversary this year, a limited production 10thanniversary DAC-2v2SE was also released. Since the beginning, Wyred 4 Sound’s gear is designed and built in the United States, and they sell their products directly to the public from their headquarters. Because their production facility remains onsite as well, in the unlikely event a product should fail, a customer can also work directly with Wyred’s team in California to quickly resolve the issue. As suggested by the name, the DAC-2v2 builds upon the sonics of the previous iteration in many ways. First, the DAC chip upgrades to the ESS Sabre 9028PRO. The green OLED display is not on the 2v2, it is exclusive to the 2v2SE. 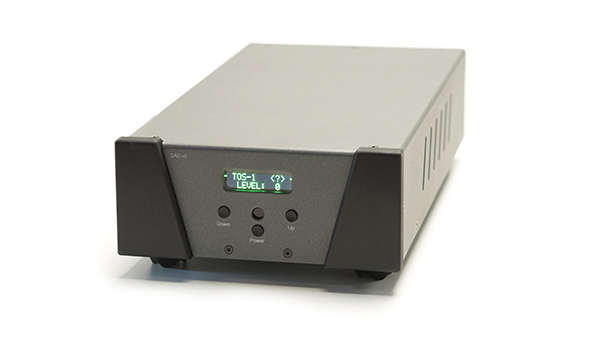 The SE version takes things even further with the ESS flagship Sabre 9038PRO DAC. It also offers several internal component upgrades including Schottky diodes and higher-grade fuses supplementing custom capacitors and Vishay Z-Foil resistors. The SE also features an upgraded Femto-grade clock, offering greater precision, corraling the digital bits into an optimal stream, reducing jitter significantly. It also has a green OLED display, which Wyred says is quieter than the regular blue LED display of the default DAC-2v2. Weighing in at 14 pounds, the small 8.5″W x 4.125″H x 13.5″D enclosure packs much goodness under the hood, combining minimalist aesthetics, with densely packed internals. 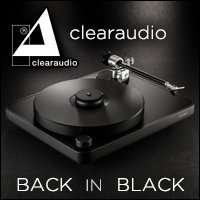 A deep grey powder-coated surface provides the DAC with a subtle matte finish (black also available), interrupted only on the sides by angled ventilation holes – a W4S trademark. Two black-anodized accent sections placed on the front panel offer some spice to the edges of an otherwise boxy form factor. Between them, a narrow OLED display is flanked by small “up” and “down” buttons on the sides, and a standby power button underneath. In addition to controlling volume, these buttons double as menu navigation tools during DAC setup. For those who prefer making adjustments from the comfort of their listening seat, an included remote control allows changes on the fly. The rear panel offers all the digital ins and analog outs one might need. Outputs accommodate both balanced and single ended connections. 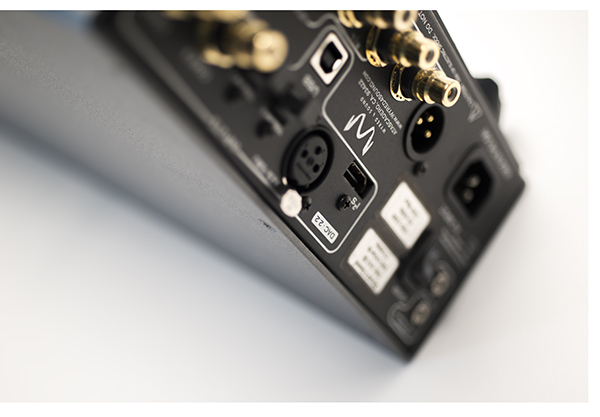 Input options include USB, Toslink, Coaxial, AES/EBU, and HDMI connections. With all these options at the ready, it is a breeze to connect any digital source to the DAC and get the music up and running. 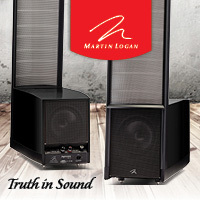 A 12-volt trigger and home theater bypass capability offer additional flexibility in a larger home entertainment setup. 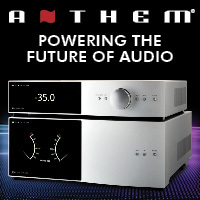 Depending on the source material, the unit’s internals can process 32-bit files up to a sample rate of 384 kHz PCM and native DSD files up to DSD256. 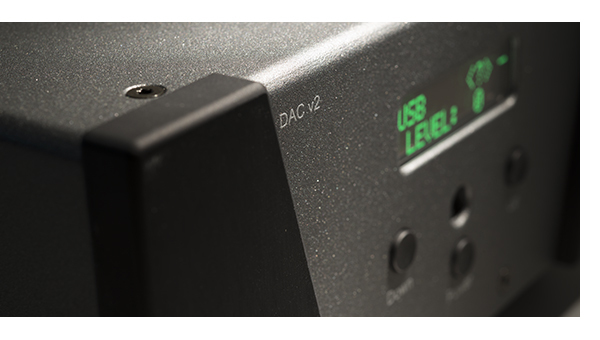 The DAC 2v2 series offers a few menu items not available previously, including multiple jitter reduction adjustments. Wyred 4 Sound recommends the lowest possible jitter setting for ideal sonic performance. However, that setting does place an additional performance tax on the component. Wyred suggests trying the lowest setting, and edging up from there among the five remaining increments if needed. Following their suggestions, the lowest setting never introduced any stutter in the system, but the sound did become a bit more relaxed and smooth with the jitter-reducer working its magic. Another handy feature on both the DAC 2v2 standard and SE DAC versions is the variable output. 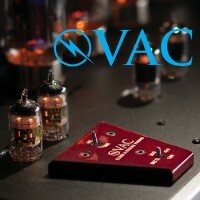 If connecting the DAC to a preamplifier through RCA or XLR interconnects, the DAC allows the user to override its internal volume controls in favor of letting the preamp take on that role. 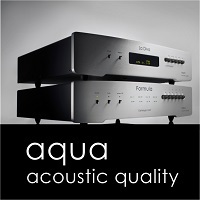 However, for those who listen to digital music only, the DAC allows the user to connect it directly to an amplifier, using the built-in variable output as the system volume control. Increasing the flexibility of the DAC, Wyred also builds into the menu options seven different digital filters. 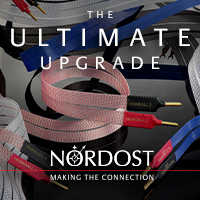 The DAC owner can experiment with all the options to determine the one that he or she prefers. For those in doubt, the DAC2v2 manual suggests starting with the “Apodizing fast rolloff, linear phase” option, and the small tweak does offer fantastic sound. If connecting your DAC to a computer via USB, note that both Mac and Linux-based systems have native support. Plugging the DAC into a Mac Mini offered not a single hiccup. The computer recognized it immediately through the Roon interface, providing music in a few minutes. For those with Windows-based systems, a required driver is available from the Wyred 4 Sound website. Wyred 4 Sound suggests 200 hours of break in time for the DAC, and with several days under its belt, it certainly demonstrated its prowess. 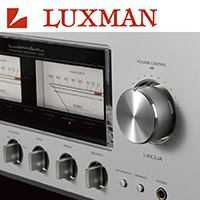 For the majority of our testing, the DAC 2v2SE was connected directly to an amplifier, using the variable volume control feature. 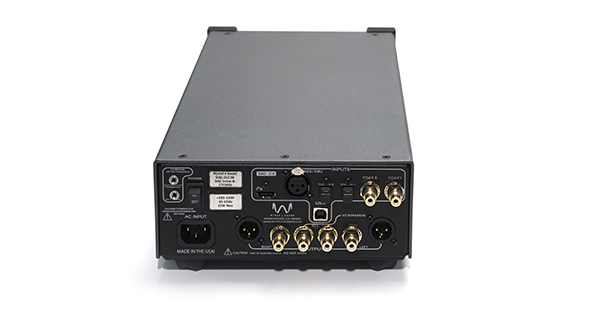 Reducing the number of components and interconnects gives this DAC the straightest possible signal path between source and speakers. While the digital filters do offer minor variances to the DAC’s overall sound, the Wyred has a general sound signature at its heart. At first listen, the DAC 2v2SE demonstrates a natural, and relaxed presentation. There’s a slight warmth complementing a high level of detail retrieval. Those seeking a DAC that exposes every bit of detail, including of glare or stridency inherent in a recording, may prefer more stark voicing. However, potential owners wishing for a more analog-like interpretation in their audio system will welcome the 2v2SE’s ability to file down the sharp edges ever so slightly in the name of musicality. Extensive soundstage portrayal is DAC 2v2SEs top strengths. Musical cues extended to the far left, right and rear of the speakers’ imaging limits give a convincing and layered presentation. 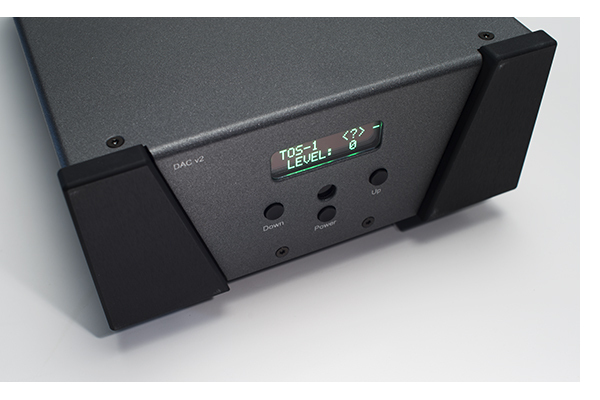 Listening to albums like Silent Letters from Bliss, the rich soundstage created by the engineers demonstrates the DAC 2v2SE’s ability to ingest, process and share out the digital bits with aplomb, re-creating the subtle details contained within. Cymbal crashes generate a complexity of audio frequency transmissions, offering a solid approximation as if sitting several rows back in an auditorium at a live concert. Similarly, the woodiness of clarinets and the brassiness of trumpets roll forth as dictated by the quality of a given recording. Both male and female voices are rendered with a natural quality. In the absence of sharp edges to the sound make the DAC 2v2SE a great friend for long listening sessions. Ear fatigue never enters into the equation, giving the listener a chance to settle into the music for the long haul. Bass-wise, the 2v2SE maintains a solid grip on bass without mushiness or disappointment in impact. The balance of bass with the rest of the audio spectrum does not tilt in favor of low-frequency information through this DAC. 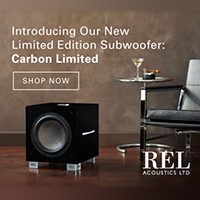 Those with a powerful solid-state amp are likely to find the partnership between the two components a welcome fit. Potential owners with tube amplifiers like the Conrad-Johnson Classic Sixty-Two we had on hand for testing, will be delighted equally. The DAC 2v2SE does not appear to modify the sound of any amp it is mated with, it just gives the amp a chance to sing to its full potential. This base DAC-2v2 retails for $2,299, and the even more advanced SE edition in this review retails for $3,799. While we did not have the opportunity to compare-and-contrast the standard edition to the SE version, the SE version performs very well at its price point. 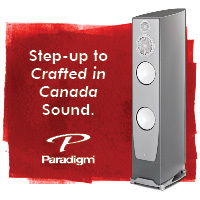 This DAC combines excellent build quality, understated modern looks, and a confidence inspiring five-year warranty. 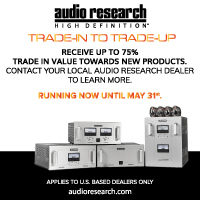 Wyred 4 Sound also provides a generous trade-in program to those who own older DACs and wish to upgrade to these latest iterations. Considering many high-end DACs today cost well over $10k, and the marvelous quality of Wyred’s DAC represents a substantial value. Yes, more money can buy a higher degree of refinement and realism. However, the Wyred delivers a lot of prowess for its price point. Because of the variable output capability, this DAC can also function effectively as a preamplifier. For those listening only to digital music, it is a bit like getting two products for the price of one. Additionally, for those who enjoy fine-tuning their DAC’s sound, the on-screen menu options give owners several ways to tailor sound to their liking. Those small tweaks can help an owner to best match the DAC’s sound to the associated gear around it, but bear in mind that the DAC 2v2SE sounds great even with the factory defaults. The core sound adjusted to the owner’s preferences make this DAC a terrific choice for those who may rotate other gear over time. Some things may come and go, but this DAC can hold its own for years to come. At first, I thought I was listening to the anniversary edition of the DAC 2v2SE and was impressed at that point, but finding out that this was a regular 2v2SE was impressive. While my reference DAC is the dCS Rossini with clock (retailing at nearly $40k), I have been very excited to hear just how far digital has come in the context of the DAC 2v2SE. 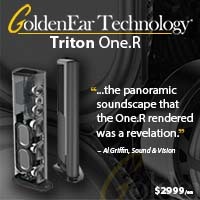 Truly engaging sound to an analog lover used to take five figures to achieve. Like the lovely Exogal Comet we reviewed recently, the DAC 2v2SE is another addition to the list of highly musical yet reasonably priced DACs that will make you sit back and take notice. Combining major dynamic punch with lifelike tonality and lack of upper register glare has me questioning if I’d even bother with a turntable with an equivalent price tag to the DAC 2v2SE. Especially considering the ease and availability of digital music options. As Rob mentions, if you are a music lover that doesn’t want to be committed to vinyl, you can build a phenominal music system for $5,000 – $10,000 using the DAC 2v2SE as your core component. While I used the DAC 2v2SE in the context of the system in room two with the PrimaLuna DiaLogue HP integrated amplifier and a pair of Quad 2812s, it was equally impressive with a vintage Conrad Johnson MV60SE tube power amplifier and the Graham LS5/9 speakers. Adding a few bits of Cardas Iridium interconnect and speaker cable brought the whole system cost to just under $10k. 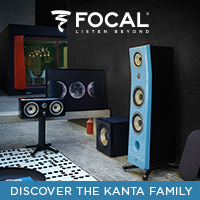 If I lost my job reviewing hifi gear, I could easily live with this system for a long time. 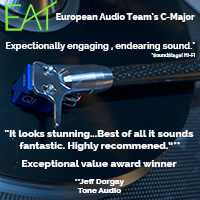 I’m happy to award this DAC one of our Exceptional Value Awards for 2017 and look forward to sampling more offerings from this manufacturer sooner rather than later. Publishers note: Just as we are going live with this review, the guys at W4S have let us know that they will be sending an anniversary model by for comparison… Stay tuned! Please Click here to visit the WFS site….